Bring on the flowers, spring is here! In our house we call it the yellow season, with cliff top gorse, delicate primroses and glorious golden daffodils emerging everywhere. Cornwall is the world’s biggest producer of daffs and traditionally the first place in the UK that they bloom. One of the most magical springtime sights is the fields of ubiquitous yellow daffodils, as you drive around the county. The daffodils at Cotehele flower from mid February right through to May and light up the orchard and meadows at this National Trust, Tudor estate. 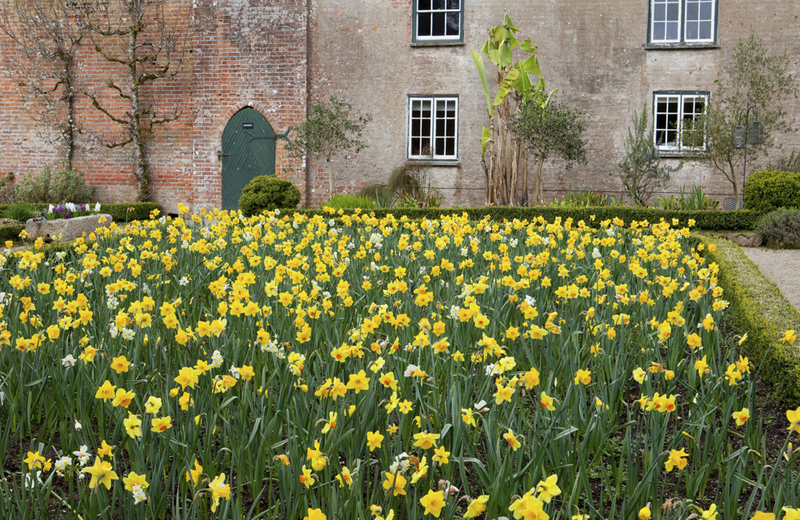 Of the 250 varieties of daffodils and narcissi at Cotehele, many are historic, dating back to he 1700s, when they were a key industry in the Tamar Valley. The best colour comes from mid March to April and over the weekend of 17 – 18 March, there is a celebratory daffodil weekend when local garden enthusiasts create and display amazing daffodil sculptures. Over the last two years, the team at The Lost Gardens of Heligan have planted over 50,000 Cornish daffodil bulbs and this spring you can expect a feast for the eyes. 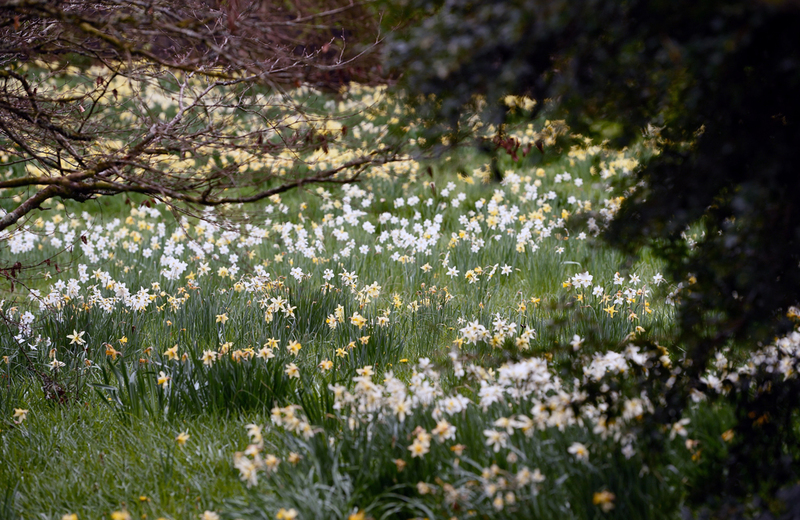 See the woodland floor burst into life, with the mellow yellows and whites of Cornish daffodils. 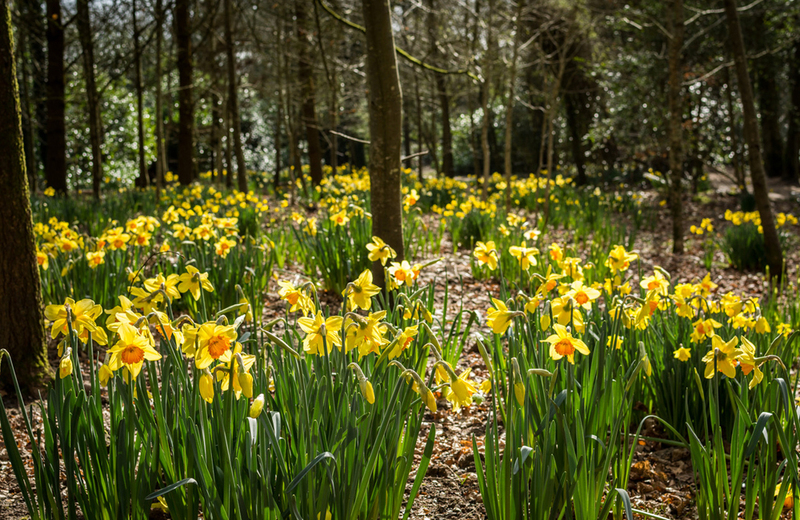 Then between 10 – 24 March, in the Wood Project by The Barn, you will find Heligan’s Heritage Daffodil Fair, a flower show displaying some of Fentongollan Flower Farm’s most spectacular daffodils, with over 50 varieties, including 16 heritage blooms. Narcissus and trees in blossom in April at Trelissick Garden, Cornwall. National Trust Trelissick is gorgeous year round but we love it best in spring, when daffodils and other flowers carpet the lawns and fill the beds. From Sat 17 – Sun 18 March, Trelissick will be holding its annual daffodil show in the stables, showcasing a dazzling array of daffodils from some of Cornwall’s finest breeders and growers. If you are visiting with children, don’t forget to pick up a daffodil trail sheet from the entrance to keep them entertained on your walk. 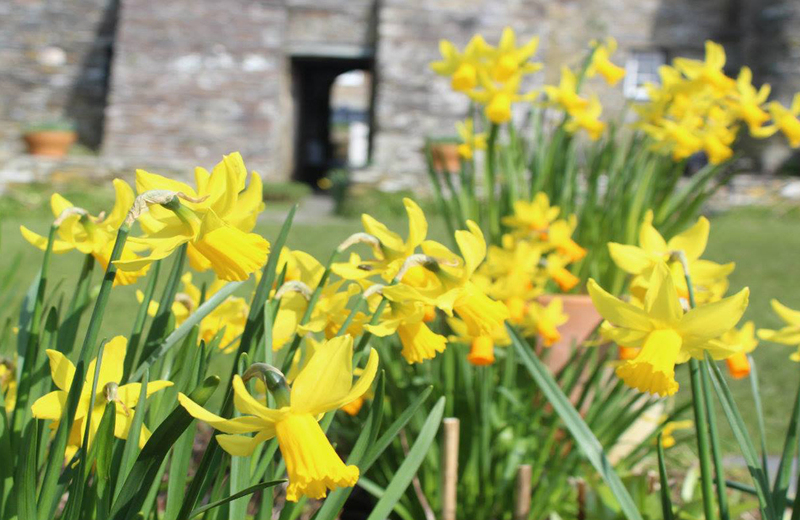 For flowers in a bucolic cottage garden setting, take a trip to Tintagel’s medieval Old Post Office (reopened 5 Mar). A lovely, alternative picnic spot if you are visiting this historic, north coast village. 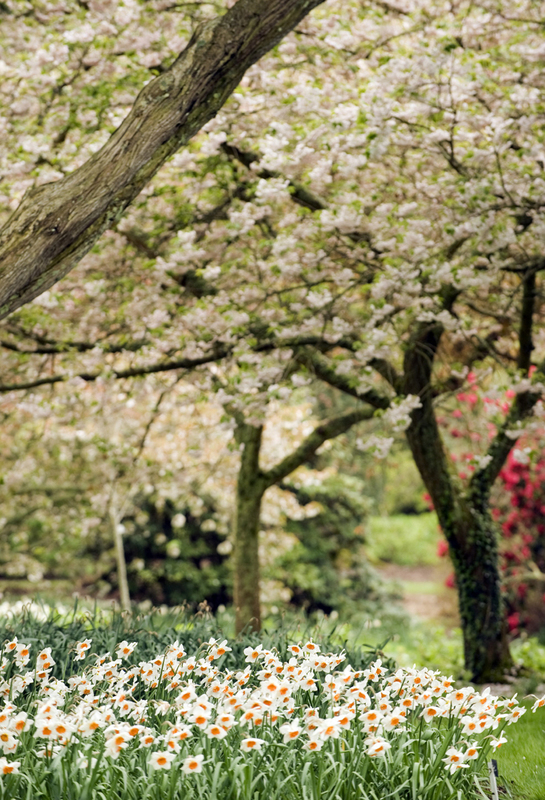 Award-winning magnolias and rhododendrons are the headline act at this National Trust garden not far from Penzance but the daffodil displays are pretty special too. Enjoy golden drifts in the kitchen gardens and wooded paths, in this 25-acre sheltered garden as well as beautiful sea views across to St Michaels Mount and Mounts Bay. If you can’t get to Cornwall, some growers will happily send you a box of stunning local blooms. I sent my Mum some one birthday and she had enough for a bunch in every room and still talks about them. 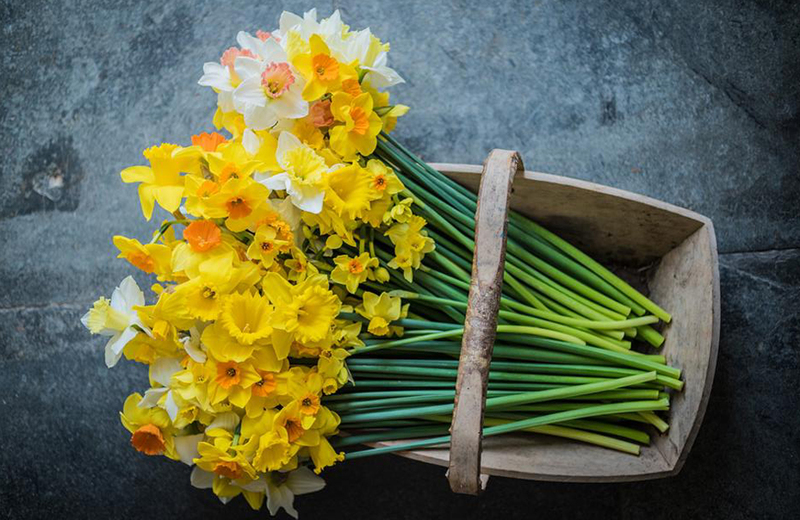 Try Fentongollan Flower Farm (60 daffs for £19.45) or Scented Narcissi, all the way from Scilly (50 stems for £22).